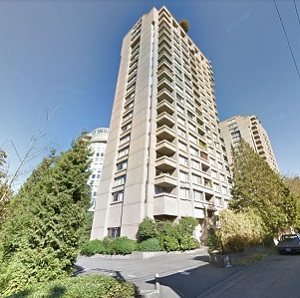 Starlight Investments announced Thursday afternoon it has acquired four “landmark” concrete high-rise apartment buildings comprising a total of 456 units in downtown Vancouver and North Vancouver. The acquisition lifts Starlight’s Victoria and Vancouver portfolio to approximately 1,700 units in 18 concrete high-rise towers and mid-rise multi-residential buildings. Financial terms were not disclosed in a release issued by Starlight. “Starlight has once again demonstrated its ability to execute its strategic plan through the recent acquisition of four highly desirable multi-residential high-rise concrete towers in Vancouver’s city centre,” said Daniel Drimmer, Starlight Investments president and chief executive officer, in the release. “In the Canadian marketplace, an urban multi-residential real estate transaction of this magnitude and involving irreplaceable Vancouver real estate is rare. Starlight also did not disclose the vendor, citing a confidentiality agreement, but all four buildings are listed as having been owned and managed by Vancouver-based Ottmann Properties on its website. They were the only four properties the firm owned in Vancouver, though the company says it also owns and manages apartment buildings in San Diego, Calif.
Ottmann’s head office is listed at 1501 Hero St., one of the four buildings involved in the sale. Starlight said all four properties will now be managed by MetCap Living. Matthew Towers is a 19-storey concrete high-rise comprised of 135 bachelor, one- and two-bedroom units. Matthew Towers offers residents on-site laundry, elevator access, underground and surface parking and controlled entry to the building. The property offers residents access to a state-of-the-art fitness facility, outdoor pool, sauna and an environmentally friendly car sharing program. Located in downtown Vancouver, Matthew Towers is situated near public transit and offers access to major highways. Nearby amenities include local restaurants and nightlife, retail shops, museums and theatres. The property is in close proximity to Stanley Park and English Bay Beach. Paul Plaza is a 22-storey concrete high-rise containing 144 one- and two-bedroom units and offers residents on-site laundry, elevator access, surface and underground parking, storage lockers, a state-of-the-art fitness facility with a sauna as well as an outdoor pool. Many units offer views of the mountains and the nearby Pacific Ocean. Nearby amenities include retail and grocery shopping, theatres and restaurants with access to public transit and major highways. Located in Vancouver’s West End, Paul Plaza is in close proximity to the Vancouver Harbour, Stanley Park and Canada Place. Peter Manor is a 19-storey, 138-unit concrete high-rise which offers residents elevator access, secure underground and surface parking, bicycle and locker storage, controlled secure building entry, as well as a state-of-the-art fitness facility with a sauna and outdoor pool. Located within downtown Vancouver’s West End and in walking distance to public transit, Peter Manor is in close proximity to Vancouver Harbour, Vancouver Aquarium, Stanley Park and the Naval Museum at HMCS Discovery. Nearby amenities include retail and grocery shopping, local restaurants, theatres and hotels. Monika Vista is a 12-storey property of 39 one- and two-bedroom units with elevator access, secure underground parking, in-suite laundry and bicycle storage. Located in North Vancouver, Monika Towers compliments Starlight’s property located at 151 East Keith Road. Nearby amenities include retail and grocery shopping, community services and public green spaces. Located close to public transit, Monika Vista offers access to major highways, local theatres and the Vancouver Harbour. Starlight is a Toronto-based, privately held, full service, real estate investment and asset management company operated by a team of over 130 professionals. Starlight manages $8.5 billion of multi-residential and commercial properties for joint venture partnerships with institutional investors, Northview Apartment REIT (NVU-UN-T), True North Commercial REIT (TNT-UN-T), Starlight U.S. MultiFamily (No. 5) Core Fund (STUS-A-X) and Starlight U.S. Multi-Family (No.1) Value-Add Fund (SUVA-A-X) for private investors. Starlight’s portfolio consists of approximately 36,000 multi-residential units across Canada and the U.S. and more than 5.3 million square feet of commercial properties.